We are able to offer placements to students aged 16 or above wishing to gain a better understanding of working in heritage or horticulture. Do you want to learn more about what a career in heritage entails? Our placements offer an all-round experience. You will assist the Visitor Experience Coordinator in delivering excellent historical interpretation and customer service to our visitors. As part of your placement you will welcome our visitors, deliver welcome talks, support our events and run visitor surveys. You can choose to do a one or two week work experience placement or spread your volunteering days over several weeks. Applicants must be studying history and/or have a proven interest in working in the heritage sector. Applications are ongoing. Heritage placements are available between April and September. We are unable to offer placements to anyone under the age of 16. We have two heritage internships available in 2019. Both are voluntary placements (unpaid). 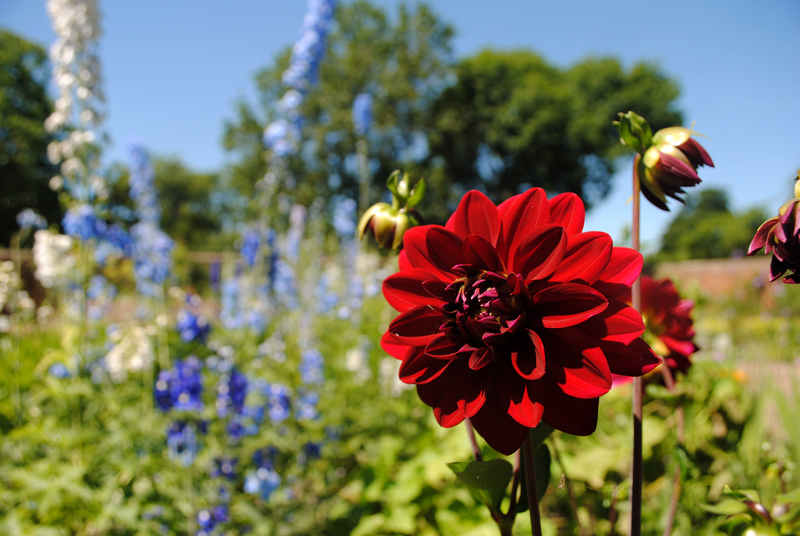 Embrace horticulture in our beautiful formal gardens and Site of Special Scientific Interest. You will support our Senior Gardener in developing the gardens and nature trail, keeping them beautiful and engaging for our visitors. Applicants must be studying for a qualification in horticulture. The placement is a minimum of 15 full working days. Placements available all year round. We are unable to offer placements to anyone under the age of 16. We are unable to offer short-term work experience placements in horticulture. If you think a placement at Middleton Hall is for you, please send your CV and cover letter to: enquiries@middleton-hall.co.uk. In your cover letter, please tell us a) why you would like to do a placement at Middleton Hall and b) why you think you are well suited to the role and what you think you can contribute. If successful at this stage, you will be invited for an interview with either the Visitor Experience Coordinator or the Senior Gardener.